I know that this is supposed to be a review of the shirt, but let me start with a review of the customer service that I received. We exchanged something in the neighborhood of 10 e-mails just to get my measurements correctly. Mr. Magnoli's efforts in this regard were above and beyond the call of duty. Upon receiving the shirt I was pleased to find that it was worth all of the effort. 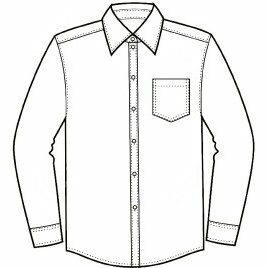 It was a beautiful finished product, exactly as promised and far better in quality than comparably priced, non-tailored shirts. I will be purchasing all of my shirts through Magnoli Clothiers in the future.